Mooga Manasulu is a reincarnation romance directed by Adurthi Subba Rao and starring Savitri and Akkineni Nageswara Rao. Some time ago I asked around for reincarnation film recommendations, and several people mentioned Milan (Hindi, 1967). While tracking that down, I discovered Mooga Manasulu is the original. 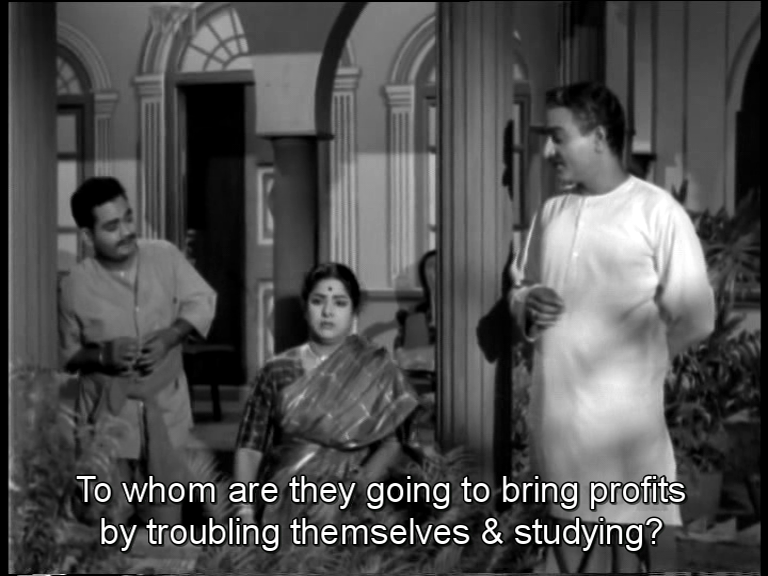 I slightly prefer the Telugu original to the Hindi remake although I like both films. 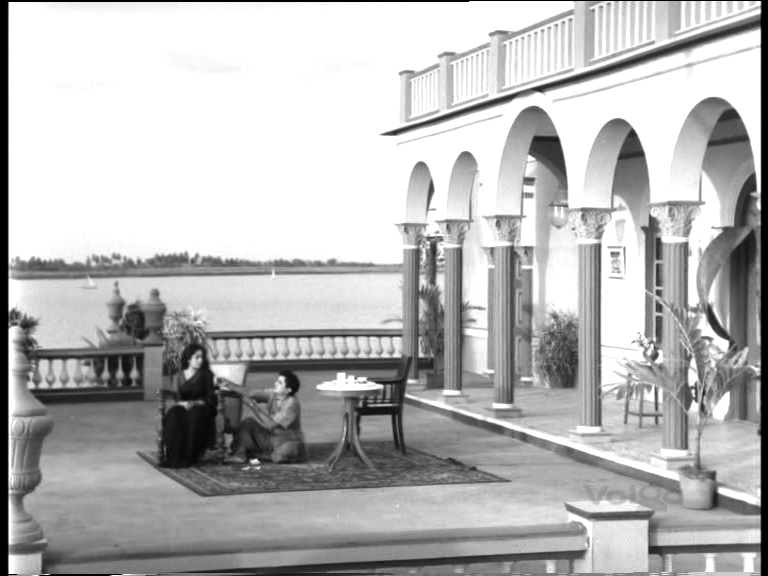 The music by K V Mahadevan is just lovely and I think the cast has a small edge over their Hindi counterparts. 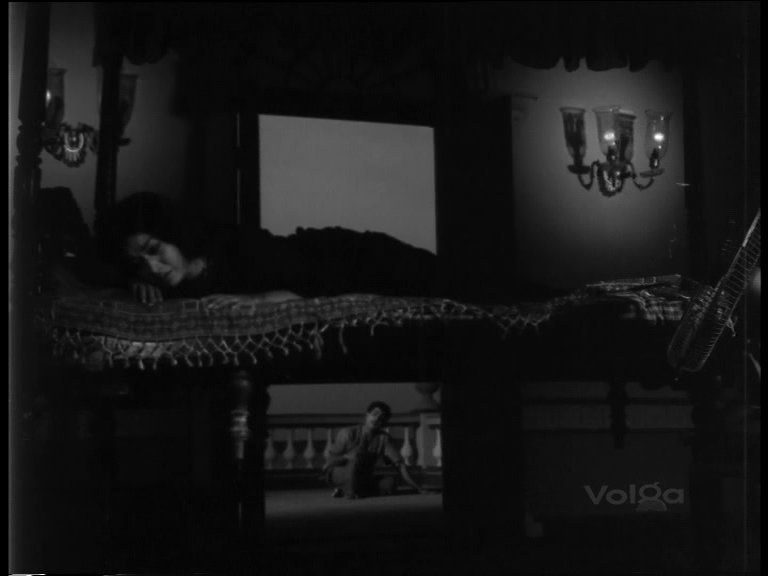 I seem to have a higher melodrama tolerance in reincarnation films. Perhaps it is because the core theme allows that the end is not the end so even if tragic events occur, there is still a chance for characters to have the life they deserve or at least get a do over. When I know the outcome of a story I tend to focus more on the characters and how they get to that resolution. Mooga Manasulu’s strength is in the lead actors and their characterisations, some determined forays into scenery chewing notwithstanding. I do find the acting a little dated and stylised, but that is the same when I watch most films from the 50s and 60s in any language. 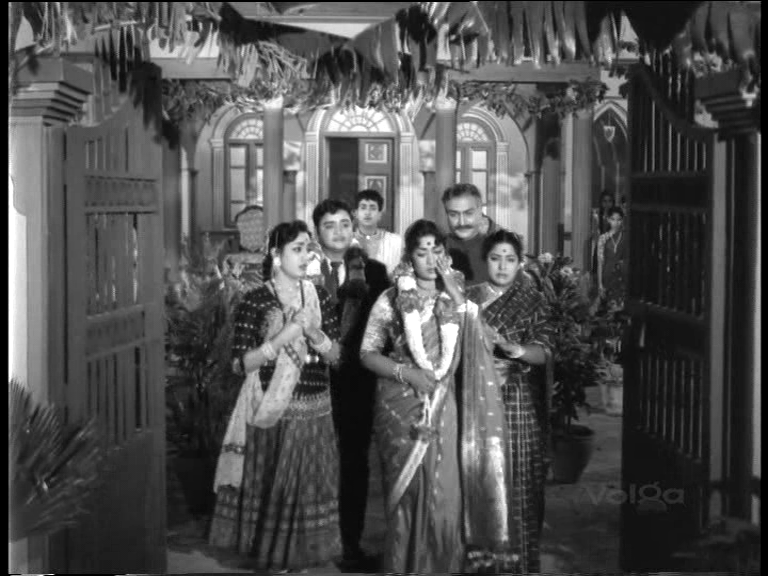 The film starts with newlyweds Gopi (ANR) and Radha (Savitri) leaving for their honeymoon. En route Gopi has flashbacks and recognises landmarks. His past comes back in a rush and he narrates the story to Radha, also present in that past life. So in effect, it starts with a happy ending and that helped tide me through. 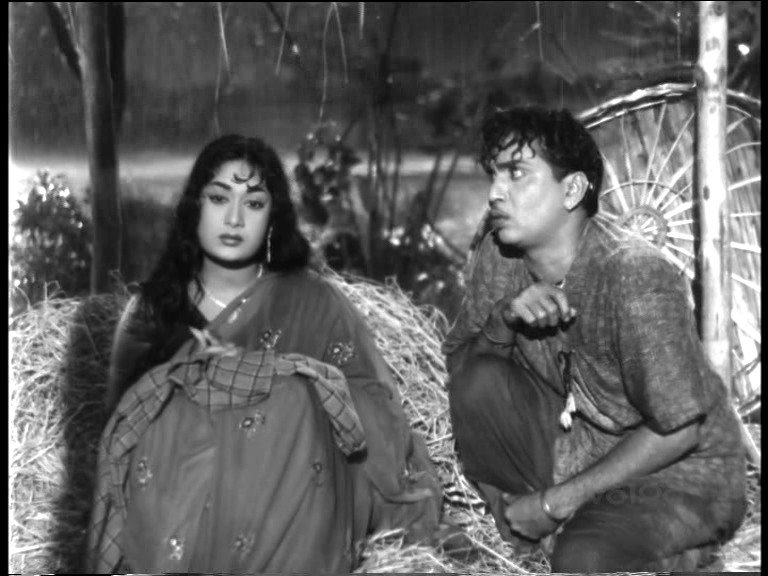 They meet Gauri (Jamuna) who had played such a role in their past, and is now an old woman waiting for death. The story shifts to the past and we relive the love triangle. 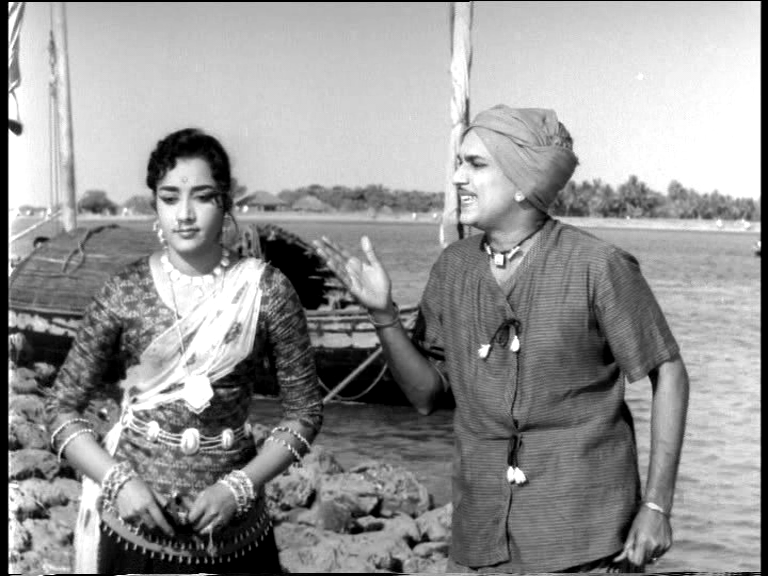 ANR has a nice rapport with both actresses and it was easy to empathise with the three characters over their circumstance if not their actions. ANR looks every inch the middle class city boy in his modern life, and is charming if a bit over the top as past life Gopi. 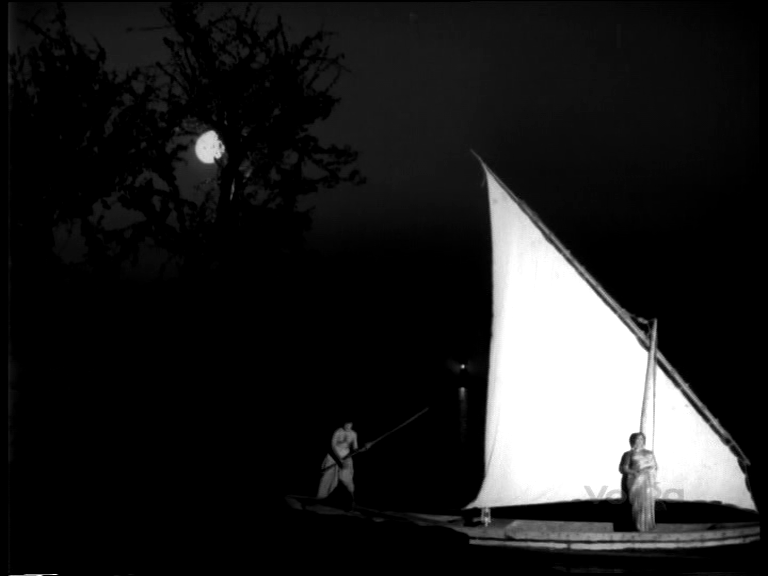 The present day frames the core events so Gopi the orphan boatman is the central figure. He is simple, occasionally verging on stupid as is often the case when ‘simplicity’ is being portrayed. But by and large ANR doesn’t overdo the wide eyed naivete too much. There is a clear difference between Gopi playing dumb to irritate Gauri and Gopi being genuinely clueless. He is argumentative and brotherly with Gauri, showing an affectionate but not romantic interest. Gopi is keenly aware of the gulf between himself and Radha but has an innocent idealistic love for her. They sing together and he presents her with a flower every day. He might pine for years after she marries, but he has no genuine expectation of being the groom. Savitri is Radha. 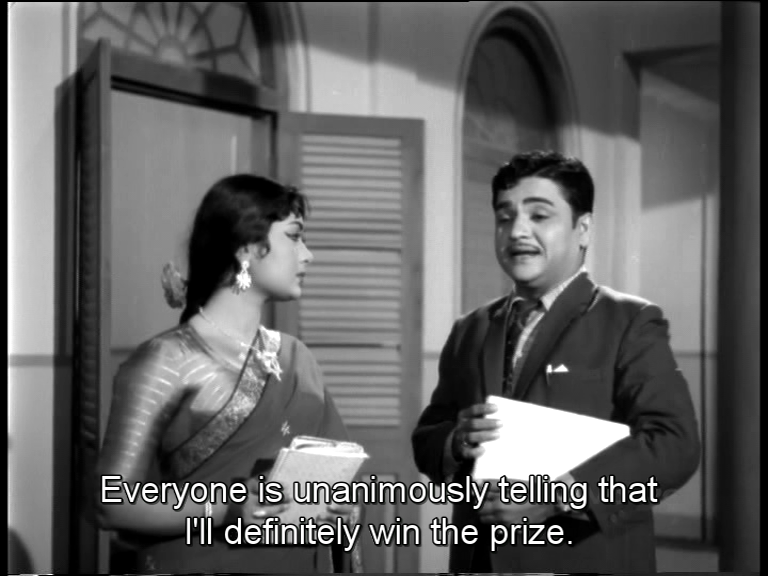 She is a very proper young lady but she has a definite personality and doesn’t take nonsense from swoony college boys.I enjoyed Savitri’s facial expressions when her suitor Rambabu was waxing lyrical about letting her win a singing competition. Her response – do what you like, I’ll win it anyway. 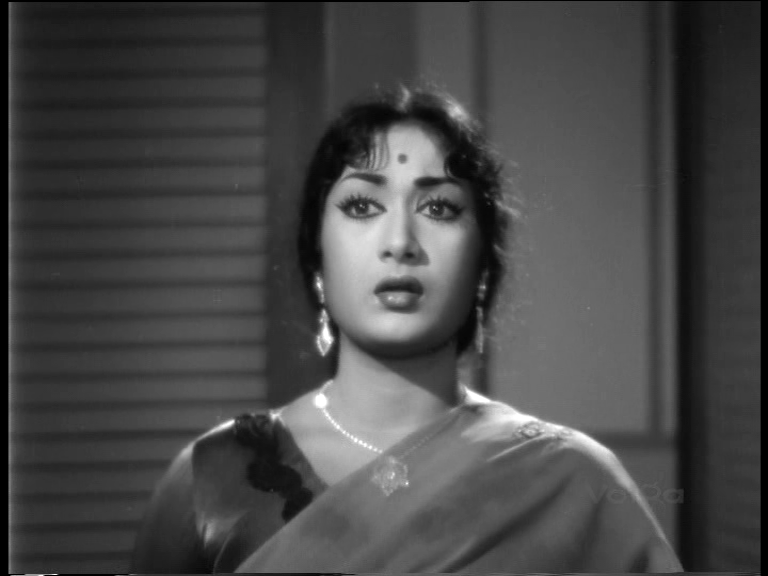 Savitri maintains a sweetly neutral facial expression while often her eyes tell a different story. In many ways Radha is the initiator in her largely imaginary relationship with Gopi. She steals his food, she buys him clothes and sits on the floor with him. She knows the rules and decides which ones to break. Her love for him is more romantic where his affection is idealised and a bit abstract. In song fantasies she imagines Gopi surrounded by balloons – that can only be love! But she does as her family wishes, and marries and moves away (ferried, of course, by Gopi). When she returns she is a widow and Gopi is devastated that her life has taken such a turn. I tried to be sympathetic but the reactions of Gopi to Radha’s misfortune and her grief at his horror were just a bit too much. But it is a melodrama. Their closeness is the talk of town and that is bad news for all. Thank heavens for Jamuna as at least someone could dance a bit to the wonderful songs. (Reincarnation does nothing to improve my low montage and weepy duet tolerance.) Gauri is determined to marry Gopi and had things gone to plan, she would have. Jamuna is occasionally grating as Gauri is so loud and childish but like Gopi, a lot of her acting up is done for effect. She does have a sensitive side and seems more of a young woman and less of a silly girl when Gopi is beaten up and needs care. Gauri is also the object of lust for Radha’s uncle Rajendra (Nagabhushanam) and he is not fussy about whether she consents or not. She had no luck at all with the men in her life, and her decision making was not always helpful. Her impulsiveness inadvertently brings doom upon Gopi and Radha, and she cannot stop the backlash. Gauri is overshadowed by the connection between Gopi and Radha, yet her role is pivotal and Jamuna really holds her own. 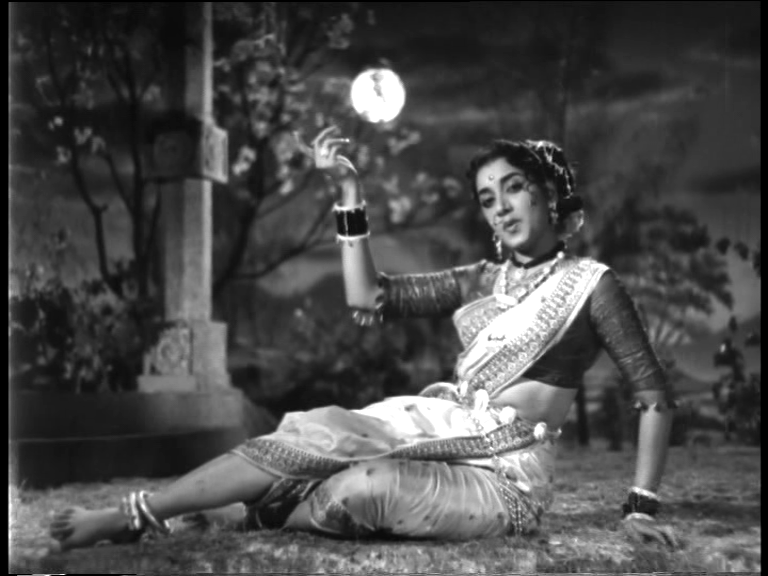 In fact, she went on to reprise the role in the Hindi version along with Sunil Dutt and Nutan. While there are lashings of impassioned dialogues, there is also a strong visual language underscoring the events too. There are recurring motifs of lamps, flames and lights that recall the momentary flickering that is a human lifespan. Some things are shown rather than told – when Radha pinches Gopi’s tiffin instead of her own as a means of putting herself closer to him. And it is just so pretty to look at. 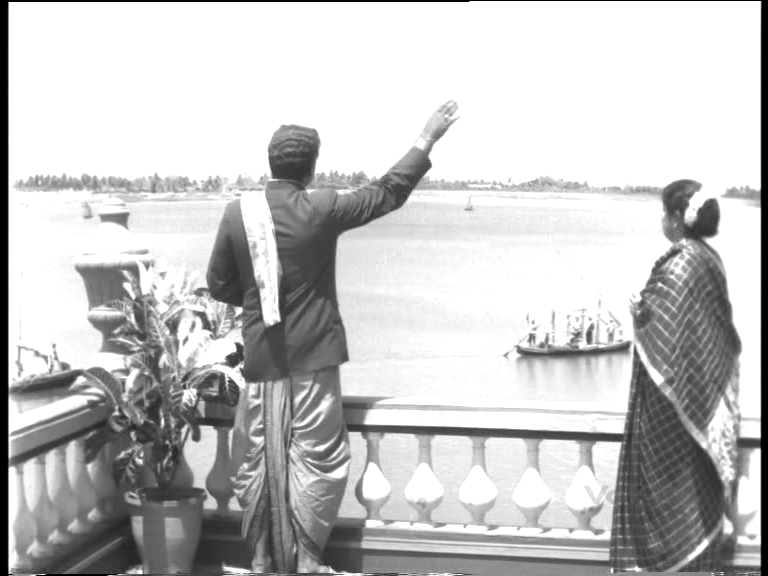 Whoever was in charge of boats had their hands full as in the background of almost every scene there are sailboats gliding along the Godavari. Gopi tells Radha that the Godavari is his mother and will always carry him safely in her hands. There is a drowning in the film, and while the actual scene is a bit clumsy and not at all convincing or perilous looking, it resonates with the constant presence of the river in the characters’ lives. The support cast are minor in terms of characterisation although they do instigate some key incidents. I did enjoy Suryakantham’s turn as the not very wicked stepmother. The soundtrack by K V Mahadevan is delightful and suits the mood and characters perfectly. I couldn’t locate subtitles for the songs but from all accounts the lyrics are still highly appreciated. The songs amplify what is happening in the drama rather than breaking from the narrative. The picturisations are lyrical and moody often enhancing the feeling of impending disaster. This entry was posted in Tollywood and tagged Adurthi Subba Rao, Akkineni Nageshwara Rao, ANR, Jamuna, K.V. 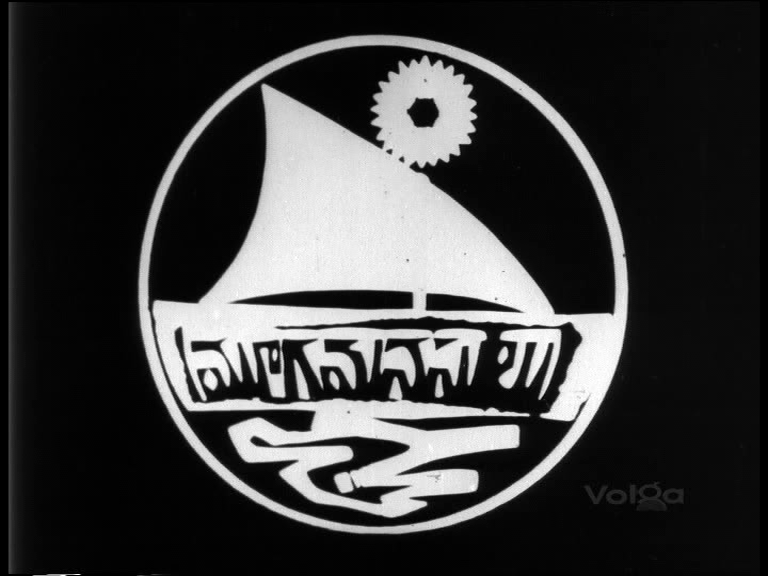 Mahadevan, Mooga Manasulu, Nagabhushanam, Savitri, Suryakantham, Telugu, Tollywood. Bookmark the permalink. Finally, a movie that I actually watched. I watched very few movies after I left home and must have seen it on one of the trips home. 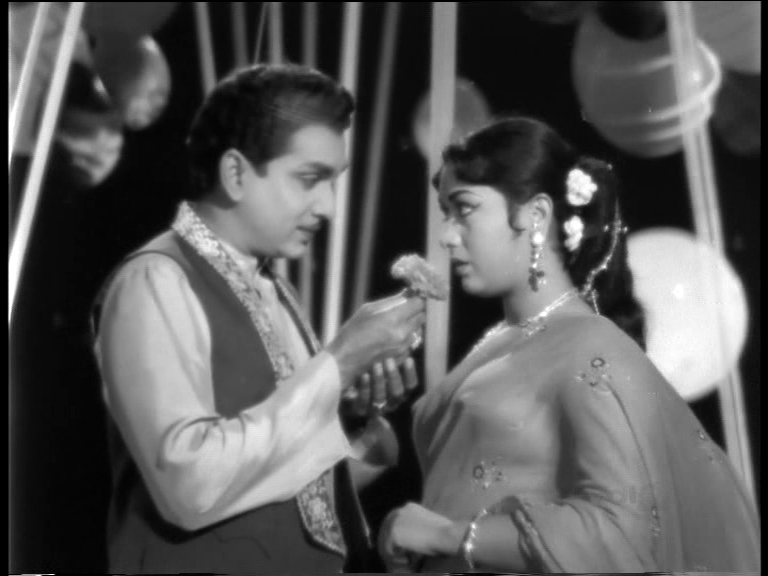 One part I enjoyed very much and still remember oare the dialogues between Allu Ramalingaiah and Jamuna in the musical Godavari area accent. So far I watched from this blog song-dance sequences from Narthanasala to Chiranjeevi’s and like many of them. How they fit into the general scheme of the films, I do not know yet.